The internal medicine (IM) subinternship has been a long-established clinical experience in the final phase of medical school deemed by key stakeholders as a crucial rotation to prepare senior medical students for internship. Medical education has changed greatly since the first national curriculum for this course was developed in 2002 by the Clerkship Directors in Internal Medicine (CDIM). Most notably, competency-based medical education (CBME) has become a fixture in graduate medical education and has gradually expanded into medical school curricula. Still, residency program directors and empirical studies have identified gaps and inconsistencies in knowledge and skills among new interns. 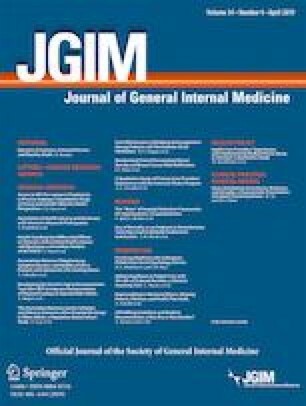 Recognizing these gaps, the Association of Program Directors in Internal Medicine (APDIM) surveyed its members in 2010 and identified four core skills essential for intern readiness. The Association of American Medical Colleges (AAMC) also published 13 core entrustable professional activities (EPAs) for entering residency to be expected of all medical school graduates. Results from the APDIM survey along with the widespread adoption of CBME informed this redesign of the IM subinternship curriculum. The authors provide an overview of this new guide developed by the Alliance for Academic Internal Medicine (AAIM) Medical Student-to-Resident Interface Committee (MSRIC). An overview of this new subinternship curriculum was presented in two workshops at the national CDIM conference in San Antonio, Texas, March 20th and 21st, 2018. The authors would like to acknowledge the Alliance for Academic Internal Medicine staff, especially Christopher M. Williams, MPH, in their support of the Medical Student-to-Resident Interface Committee’s work on this project. The authors also acknowledge Cassandra Laughlin for her assistance with manuscript preparation. The Clerkship Directors in Internal Medicine (CDIM) Council and the Association of Program Directors in Internal Medicine (APDIM) Council reviewed and approved the new subinternship curriculum guide. Two authors disclosed the following potential conflicts of interest: Dr. Vu received an internal grant at his academic institution in 2017, and Dr. Appelbaum served as a consultant for two healthcare-related companies and received an honorarium from another healthcare-related company. The authors note that these relationships with the disclosed entities did not affect this project. All remaining authors declare that they do not have a conflict of interest. CDIM Subinternship Curriculum and Training Problems. Available from: https://www.im.org/resources/ume-gme-program-resources/curriculum. Accessed 29 October 2018. Core Entrustable Professional Activities for Entering Residency. Available from: www.mededportal.org/icollaborative/resource/887. Accessed 29 October 2018. Harrell H, Aiyer M, Appel J, Gliatto P, Sweet M. Primer to the Internal Medicine Subinternship. MedEdPORTAL; 2012. Available from: www.mededportal.org/publication/9277. Accessed 29 October 2018.
https://innovations.ahrq.gov/qualitytools/sbar-technique-communication-situational-briefing-model. Accessed 29 October 2018. AAIM Internal Medicine Subinternship Curriculum 2.0. Available from: https://www.im.org/resources/ume-gme-program-resources/curriculum. Accessed 29 October 2018.